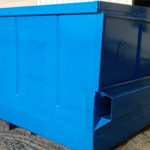 Dumpster Repair & Refurbishing • Container Services Unlimited, Inc. 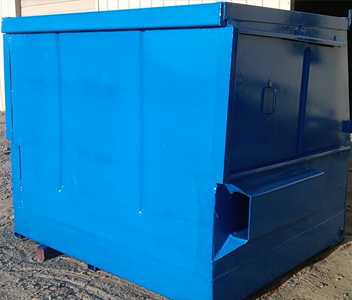 Looking for Dumpster Repair & Refurbishing? 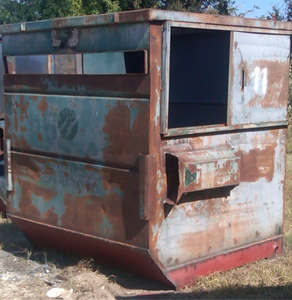 Are your dumpsters looking old and ragged? Are the bottoms falling off? 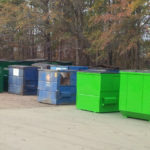 Do your customers complain about the way their dumpster makes their property look? 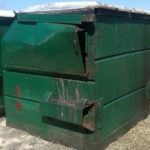 Let’s face it, there’s nothing worse than a beat up, rusty, leaky dumpster that spills filthy liquid all over your customers property. 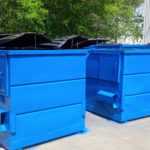 Most importantly, a high quality refurbished dumpster is much safer to work with and around since the rusty sharp edges have been removed and repaired, reducing the chance of injury. New containers are more expensive than ever before. That’s why we continually work hard to find ways to reduce our costs in order to offer you savings in repairs. 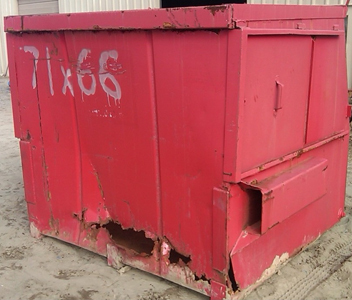 95% of our repairs cost only 40 to 45% of a new container, and it will last longer than a new one. Not to mention, container manufacturers are reducing costs, which in turn affects the quality. That means newly purchased dumpsters may not last as long as the ones we refurbish. We straighten walls, repair or rebuild sleeves, patch areas in need, repair doors and tracks, remove old stickers, sand, and paint. C.S.U. 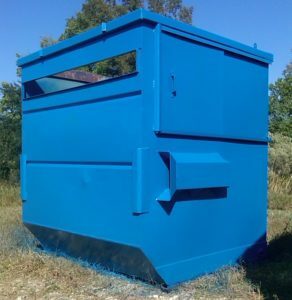 can provide new lids and rods, lid hinges, side doors or any other parts required to get the containers ready for delivery. 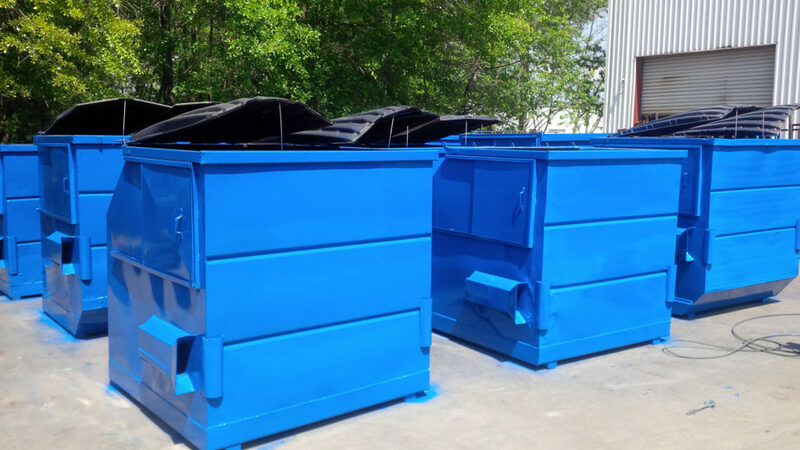 Each bottom is constructed of 10 gauge hot rolled steel manufactured in the U.S.A. The bottoms are fabricated to custom sizes as needed so that the walls are straight up and down for a sharp professional look. 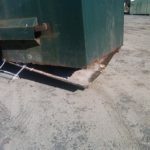 We offer bottoms that are sealed inside and outside to deter corrosion. 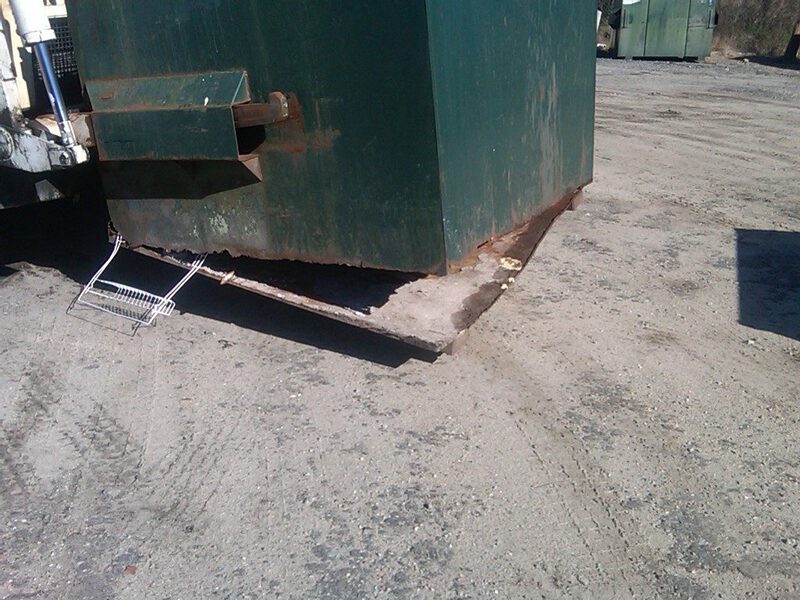 We install (2) full size skids on the bottoms that measure 2.00” high and 3.00” wide with end caps. Old bottoms are removed, repairs to containers are performed, old decals removed, containers are sanded and then painted. We also make new metal side doors if yours are missing or damaged! 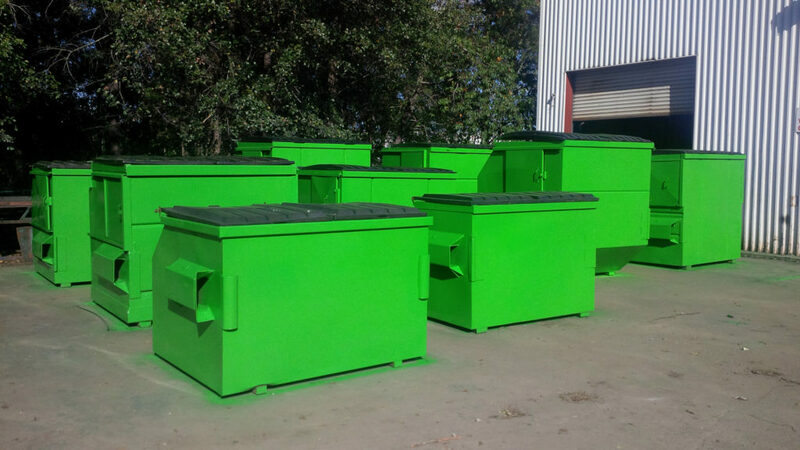 Note: Click here to learn about our dumpster bottom replacement and repair kits. Everyone is busy and time is of the essence which is why we strive to make it as easy as possible for you to do business with us. - We'll pick up and deliver back to you. - Our crews can come to you. - Send the containers to us. 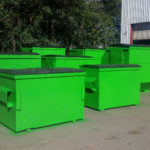 Ready For Complete Dumpster Repair & Restoration?